Contact us if harmed by use of a JUUL E-cigarette. The use of e-cigarettes, also referred to as vaping, has risen significantly in popularity in recent years. The company JUUL has managed to dominate this area with their variety of products that have become alarmingly popular among youth, especially high school and college aged consumers. This is thought to be a result of their youth-centric marketing tactics as well as their product’s sleek, discreet design and variety of enticing flavors, like creme brulee and fruit medley. In response, the FDA has given a 60 day notice to the sellers and manufacturers of some of the most popular e-cig devices on the market. These brands will have to prove to the FDA that they take measure to ensure their products are not readily accessible, or marketed, to minors. Many people often hail vaping as a safer alternative to smoking traditional cigarettes. However, JUUL e-cigarette use does not come without hazards. The inhalation of any chemical substance by humans puts their lungs and airways at risk. Particularly, an increased risk of developing several dangerous types of pneumonia, such as Hypersensitivity Pneumonitis or Eosinophilic Pneumonia. These conditions usually result in hospitalization, can require further care in ICU or the use of mechanical ventilation, or may eventually prove to be fatal. Users of the JUUL e-cigarette specifically can develop these issues very quickly. According to Reuters Health, “people who smoke e-cigarettes might have an increased risk of developing pneumonia because the vapor could help bacteria stick to cells lining the airways.” Pneumonia usually occurs as the result of a lung infection, and can stem from a virus, strain of bacteria, or fungus entering the airways and lungs. The infection causes the tiny airways and air sacs inside the lungs, the alveoli; to fill with fluid that compromises breathing and lung function. 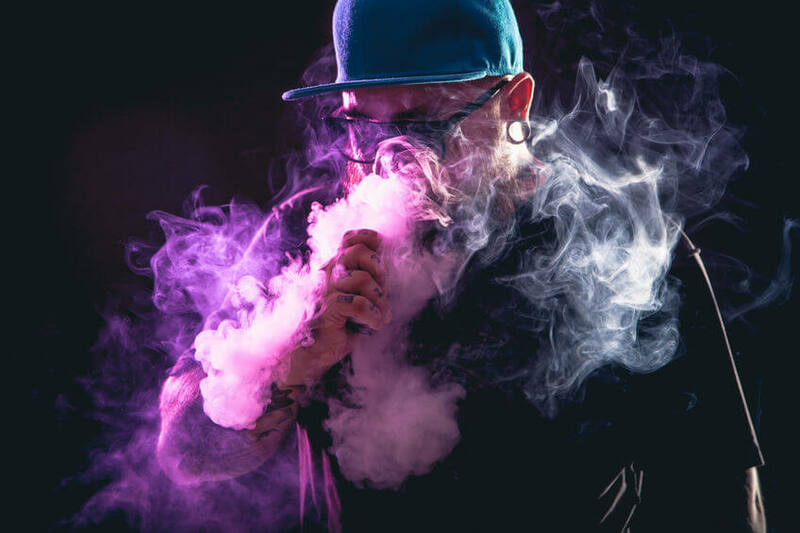 Further, JUUL e-cigarette users put themselves at risk of developing and exacerbating symptoms of advanced asthma and COPD. Research suggests that repeated inhalation of e-cigarette vapor might increase levels of a molecule in the lungs; called platelet-activating factor receptor (PAFR). “PAFR expression is enhanced in cigarette smokers and patients with chronic obstructive pulmonary disorder (COPD) and has been hypothesized to be mediating enhanced adhesion of bacteria to epithelial cells and subsequent development of pneumonia,” said Ilona Jaspers, deputy director of the Center for Environmental Medicine, Asthma & Lung Biology at the University of North Carolina at Chapel Hill. If you, or a youth important to you, have developed pneumonia; COPD; advanced asthma; or suffered a heart attack after using JUUL e-cigarettes, contact our offices today. We know that young children and teens remain especially susceptible to the health risks associated with the e-cigs marketed to them. The team at Lerner and Rowe Injury Attorneys will work tirelessly to ensure your right to your due compensation. Feel free to fill out an online form, and don’t forget to take advantage of our LiveChat feature. You can also give us a call any time of the day or night at 844-977-1900. Alternatively, you can stop by any of our offices Monday-Friday, 8am to 5pm. There’s no risk associated with contacting us, so, don’t wait! We give free initial consultations; we won’t need any further payments until we get a successful end to your case.